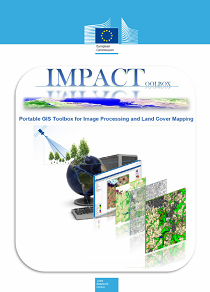 IMPACT Toolbox offers a combination of remote sensing, photo interpretation and processing technologies in a portable and stand-alone GIS environment, allowing non specialist users to easily accomplish all necessary pre-processing steps while giving a fast and user-friendly environment for visual editing and map validation. No installation or virtual machines are required. Collection of ground truth data at local, national or global scale is now faster with a built-it feature editor supporting either systematic samples collection or wall-to-wall feature labeling. We are experiencing issues with the IMPACT Toolbox (version older than 4.5.8b) as result of the new internet security policy. Alternatively you can download the new installer from the DOWNLOAD link below. IMPACT toolbox is free software: you can redistribute it and/or modify it under the terms of the GNU General Public License as published by the Free Software Foundation, either version 3 of the License, or (at your option) any later version. IMPACT toolbox is distributed in the hope that it will be useful, but WITHOUT ANY WARRANTY; without even the implied warranty of MERCHANTABILITY or FITNESS FOR A PARTICULAR PURPOSE. See the GNU General Public License for more details. 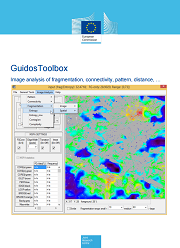 GuidosToolbox contains a wide variety of generic raster image processing routines, including related free software such as GDAL (to process geospatial data and to export them as raster image overlays in Google Earth), and FWTools (pre/post-process and visualize any raster or vector data).